This webpage is best viewed at 1024 x 768 screen resolution. Here is an example of one of our Architectural Window glazing projects. 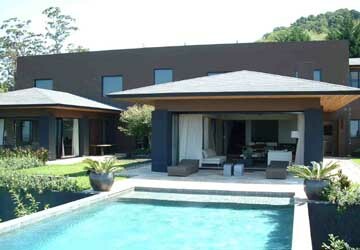 South Coast Glass offers a complete service to the home owner, architect or builder. Our services range from design concepts through to custom-made glazed products of a colour, size and configuration as specified by our clients. We ensure compliance with current Australian safety codes, and give consideration to both the human impact and wind loading requirements. 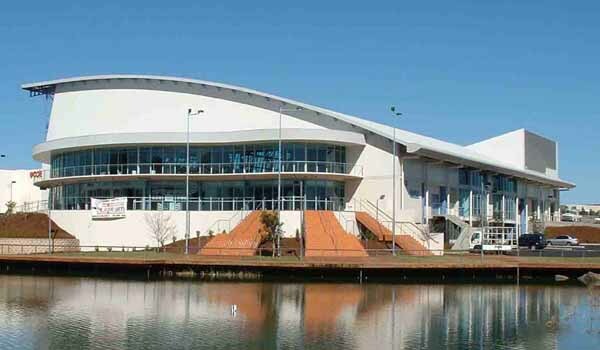 This time we go large scale, with one of our many commercial projects.The Glaciarium Ice Skating Rink at Norwest Business Park, Castle Hill, Sydney. South Coast Glass has the capability to supply our clients with glazed products for standard type shopfront applications through to the most innovative of designs. We have a proven track record on large scale projects, for being able to get the job done with a high standard of workmanship and a minimum of fuss. 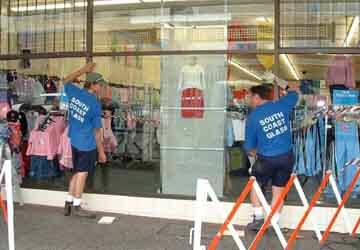 South Coast Glass is your local accredited glazier, and we offer a 24 hours - 7 days a week reglazing service. We ensure compliance with current Australian safety codes, and give consideration to both the human impact and wind loading requirements. This service encompasses Berry, NSW to the north, Kangaroo Valley, NSW to the west and Sussex Inlet, NSW to the south and all towns and coastal areas in between. Click here to contact the Web Designer.